#ThatBusinessShow extends their condolences to the victims of the senseless shooting in South Carolina that occurred last night and reminds people to accept others differences. There is too much good in the world and in people to get hung up on our differences. 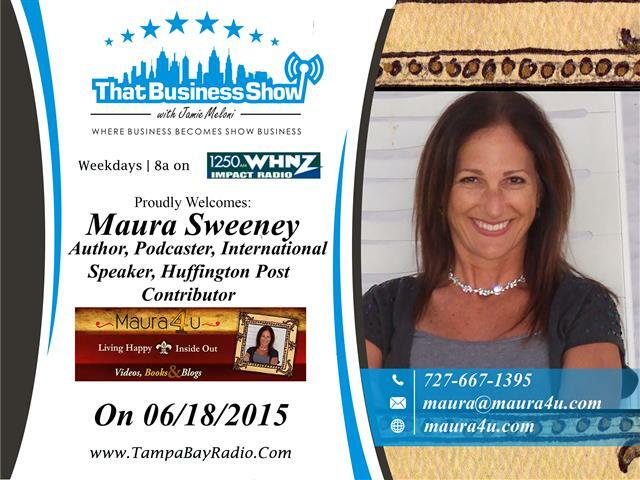 Fitting to the topic of peace and positivity, my guest for the show was Maura Sweeney who is a speaker, author, podcaster and contributor to The Huffington Post and focuses on Living Happy Inside and Out. Maura shares many great anecdotes and tips on this show about what it means to be truly happy and how to find happiness in our lives and business. Growing up in New Jersey and attending Law School, Maura felt she was on the wrong path and after asking her Law School for a leave of absence which became a permanent leave of absence, she became empowered with self-discovery and determination. Her writings and speaking engagements gave her such a brand for positive action that she is now sought after by companies and groups to share her stories of inspiration and objectivity. She is the author of Maura4u: The Art of Happiness which is a series of writings designed to inspire and entertain her audiences and available on Amazon or on her website http://www.maura4u.com. 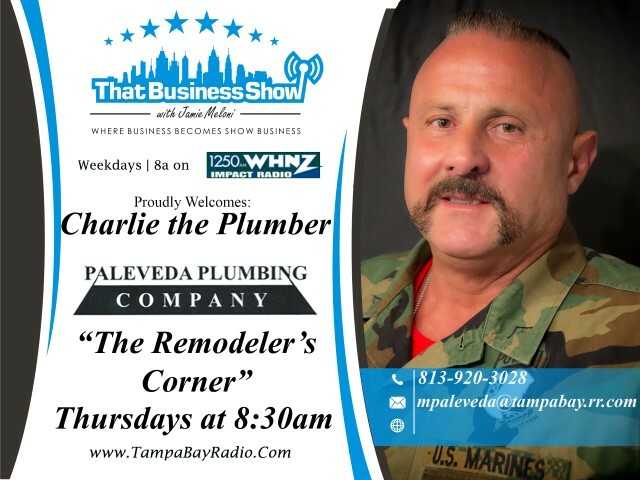 Maura, myself and Charlie the Plumber share some spirited debate on this show and off air as well and it was a positive start to the morning that unfortunately was marked by a tragic event from the prior night. Maura is available for speaking engagements and is always looking for material for her own podcast which is available on iTunes – Maura4U – Living Happy Inside and Out. Learn more at http://www.maura4u.com and she can be reached at 727-667-1395 or email at Maura@maura4u.com!